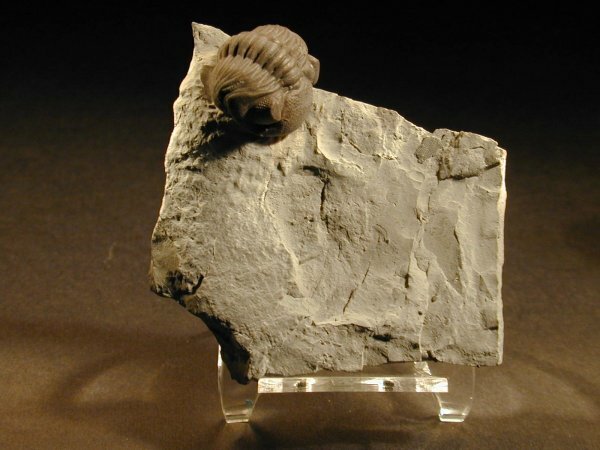 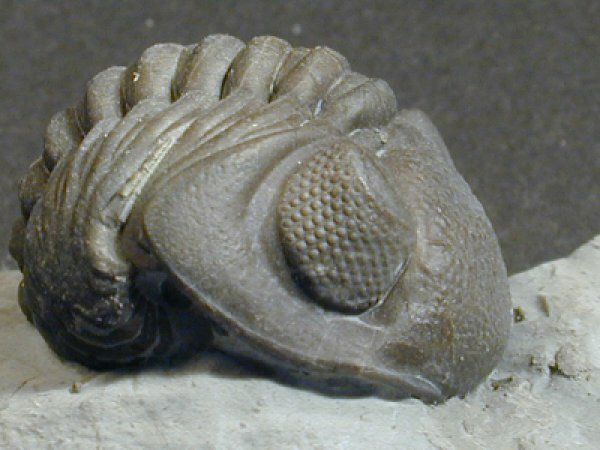 A large and pristine example of popular trilobite from Ohio. 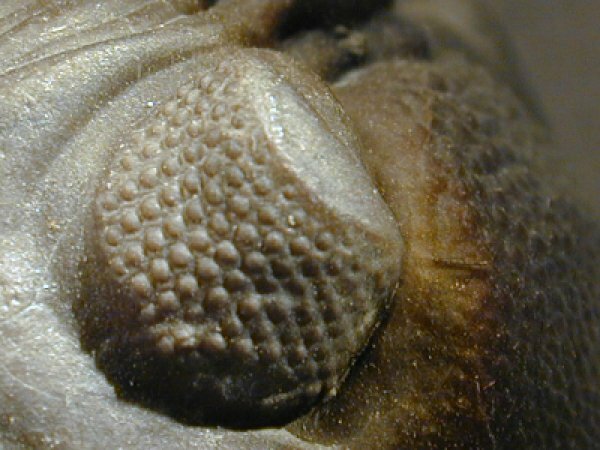 The Ohio Phacops trilobites are particularly well known for Schizochroal eyes that are found only in some Phacopida, those of Suborder Phacopina. 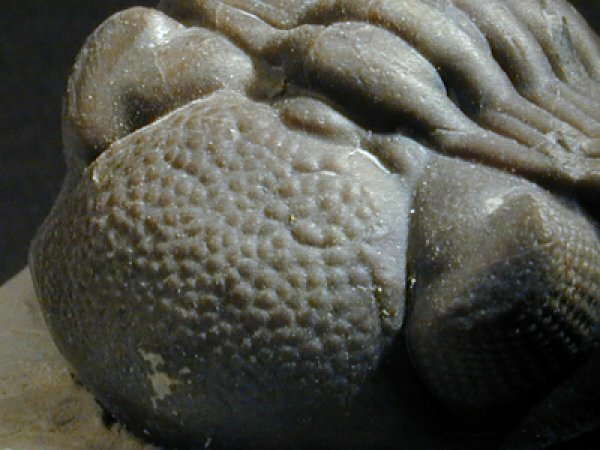 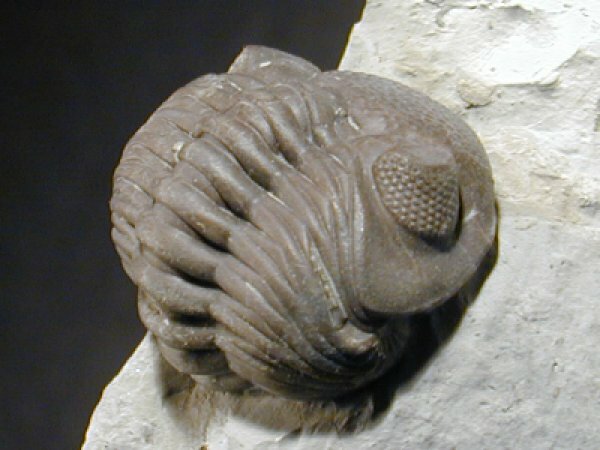 This type of trilobite eye typically has fewer lenses, but they are much larger. 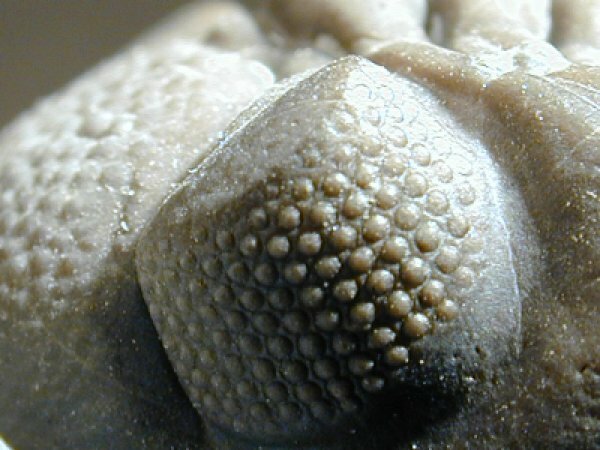 Each lens is separated and has an individual cornea. 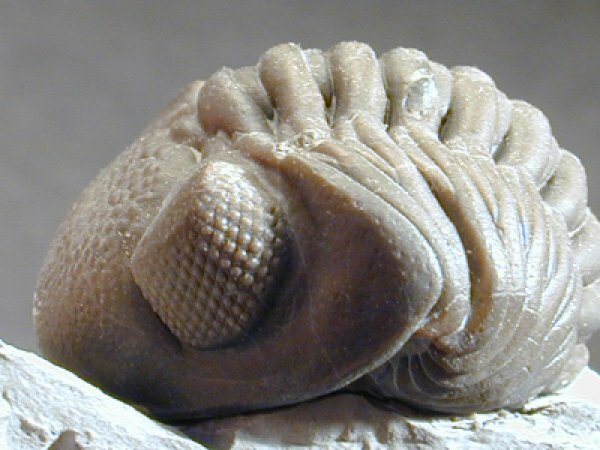 The picture attests to the unusual "crystal eyes" of this Phacopida and their superb preservation.